This year’s Star Wars Celebration is now well underway and what’s perhaps its biggest panel has already concluded. As you surely know, it showcased Star Wars: The Rise of Skywalker, which is set to finally cap off the Sequel Trilogy and the Skywalker Saga as a whole. The event, hosted by none other than Stephen Colbert, featured most of the main cast – along with J.J. Abrams and Kathleen Kennendy – and revealed a good deal of information regarding the upcoming film. Along with an epic and tantalizing trailer, and of course the film’s official title, something else we also got was the very first teaser poster – which follows on in much the same style as previous entries in the saga. 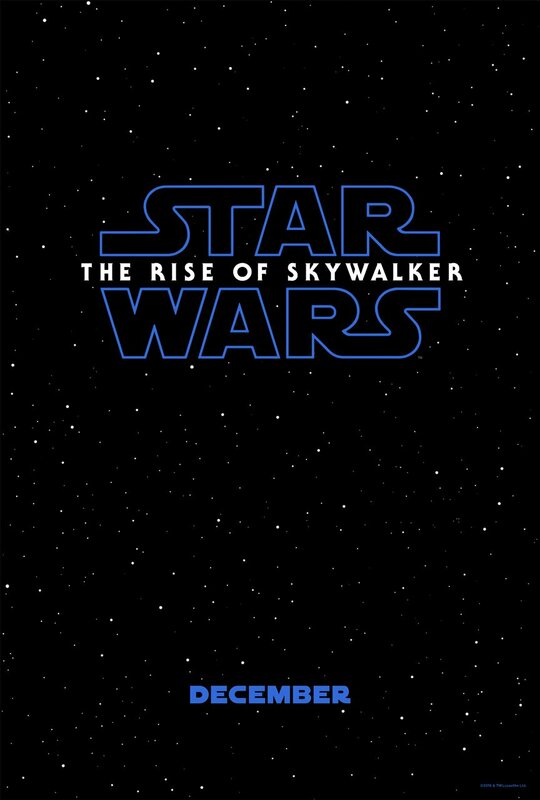 Sure, it’s not particularly exciting, but it at least reveals the Star Wars: The Rise of Skywalker title along with a blue logo and release date. The color-changing pattern between the three sequel installments, meanwhile, has certainly been a refreshing touch and the blue theme indicates a hopeful ending for the trilogy. Whether we’ll get that or not remains to be seen, as Lucasfilm is being their usual tight-lipped selves and choosing not to give us any firm plot details. Even that aforementioned trailer kept things pretty secretive, showing us enough to get fans stoked but not enough to work out what’s actually going to happen in the movie. Or at least, not really. Regardless, the rest of the year is sure to bring us more on Star Wars: The Rise of Skywalker before it hits theaters on December 20th. And as Celebration continues on throughout the weekend, we’ll no doubt get a few additional tidbits on J.J. Abrams’ trilogy-closer, so be sure to stay tuned.